When you live on a low income or on food stamps, you have to make the most of your money. No one knows better on how to make your money go farther than our GHETTO CHEF. 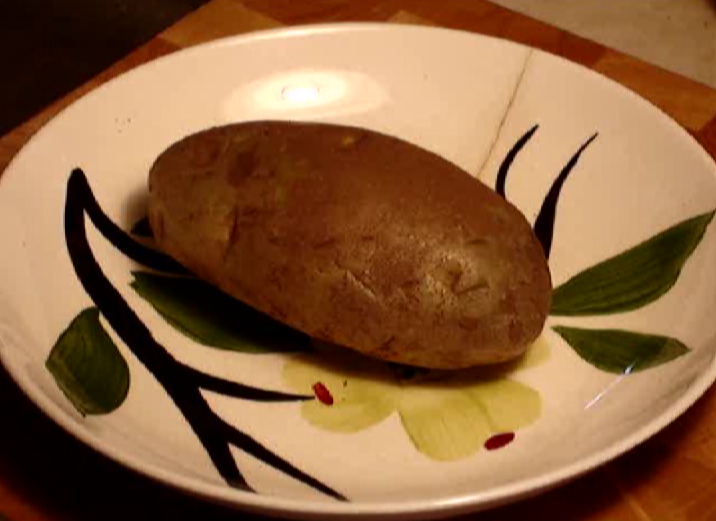 Today we get a look at the most economical food you can buy: GHETTO CHEF - The Potato. Baking potatoes are the healthiest way to consume these root vegetables - as opposed to frying or deep frying. They are extremely low in fat, contain vitamins and are a good source of potassium. You can add toppings to your baked potato, but don't get carried away. You will add a lot of unnecessary fat and calories, if you are not careful. Let's see how the GHETTO CHEF handles a potato and fixes foods you can eat every day. Now that you see how to properly prepare a potato, wait until we tackle other great food products. Nice to see THE PROFESSOR again. I think he's had enough of the GHETTO CHEF and the potatoes.